Sergio Marchionne was in Mexico Monday celebrating the start of Fiat 500 production at Chrysler’s Toluca, Mexico, assembly plant. 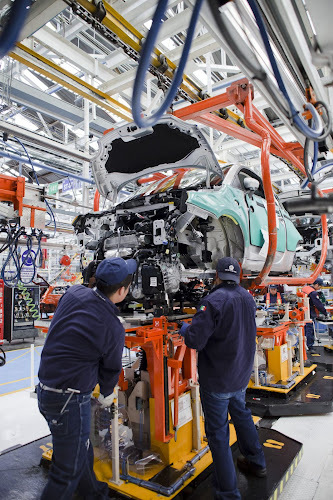 The occasion brought together Mexican President Calderon, Chrysler de Mexico President and CEO Joe ChamaSrour and Laura Soave, Head of Fiat Brand North America, along with other local officials and employees from the Toluca Assembly Plant. A bit of news is during the day at a press conference, Marchionne mentioned he is looking at building a second Fiat model at the Toluca plant. He did not say what the model would be, and ChamaSrour said this could be three or four years into the future. “We need to decide what we’re going to do with that plant,” Marchionne said. “The likelihood is that we will bring in an architecture that is more versatile and will give us an opportunity to produce more than one top hat (body style)”. Nothing has been decided, he said. 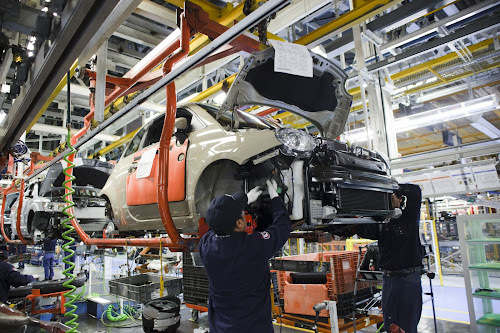 After nearly 16 months of preparation, Chrysler Group LLC’s Toluca (Mexico) Assembly Plant is ready for production of the new 2012 Fiat 500. Chrysler Group announced that it would produce the Fiat 500 in Toluca in August 2009, taking the place of the Chrysler PT Cruiser which ended production after 10 years in June 2010. The Fiat 500 will share the line with the new 2011 Dodge Journey. In anticipation of the launch of the new Fiat 500, the Toluca Assembly Plant, which has been producing Chrysler vehicles since 1968, went through a significant transformation as part of World Class Manufacturing (WCM), an extensive and thorough process to restore all Chrysler Group facilities to their original and maximum functionality. What makes WCM different is that it fully engages employees in eliminating waste and empowers them to take ownership of the process. For Toluca, the first step in ensuring the success of WCM meant putting everyone through training. More than 2,600 employees participated in more than 25,000 hours of training focused on principles of WCM that could immediately help the employee identify and attack waste and losses on the line. Additionally, employees have completed more than 50,000 hours of training on the new equipment installed at the plant. With the implementation of WCM, employees felt empowered to offer nearly 25,000 suggestions on improvements that could be made throughout the plant, of which 78 percent were implemented. The plant implemented significant changes in all areas of the plant, starting from stamping, through to the body shop, to paint, then final assembly. 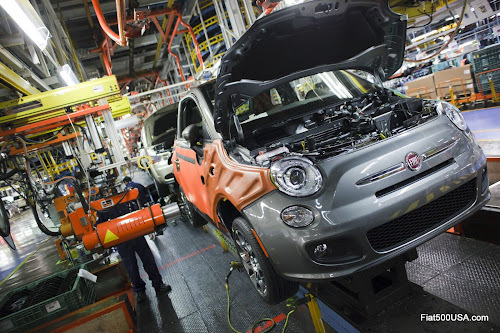 In the stamping plant, the company invested more than $44 million to develop 110 new dies (22 sets), for different body parts for the new 2012 Fiat 500. The plant also installed two new washer machines – one at the blanking press line for the inner and outer parts, and one at the transfer press line for the outer stamping parts – which ensure the elimination of 99 percent of the impurities that could affect the quality of the stampings. In the body shop, the plant installed five new automated closure lines, including an innovative new process which uses dies for seaming the outer edges of the liftgate, hood, right and left doors called a hemming table-top system. This new system provides for maximum flexibility for the production of more than one vehicle on the closure lines. In addition, a new system for a sealant cure process assures the body applies to the hood, tailgate, and right and left door. The paint shop was also transformed in order to ensure that the highest quality Fiat 500 rolls off the assembly. 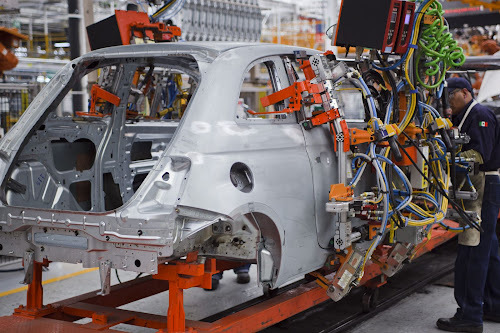 As a requirement for production of the Fiat 500, the plant installed a new, fully automated “PVC” sealant application system, a completely new process for Chrysler Group manufacturing. The application system guarantees that no water leaks into the vehicle’s cabin and reduces noise. Because customers can personalize their vehicles with 14 unique exterior paint colors, the Toluca Assembly Plant needed a system to manage paint color changes quickly and with minimal waste. Chrysler came up with an innovative process involving two new paint systems for exterior color management. 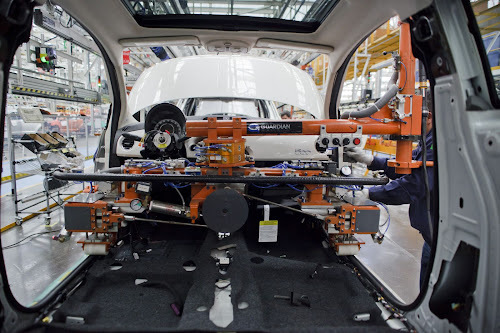 Toluca Assembly Plant also installed new equipment for the application of urethane during power sunroof and fixed-glass roof mounting for the new 2012 Fiat 500. To meet Fiat specifications, the plant installed new torque tooling on the assembly line to avoid any noise or vibration that might be caused by a loose nut or screw. Another innovative quality control device adopted from the Fiat Group Automobiles (FGA) is the “suspension exerciser,” which is assures the suspension settles correctly before the vehicle passes through the wheel alignment process. Because the new 2012 Fiat 500 will be exported to South American markets with a flex-fuel option, the plant installed new storage and dispensing equipment for ethanol fuel management. 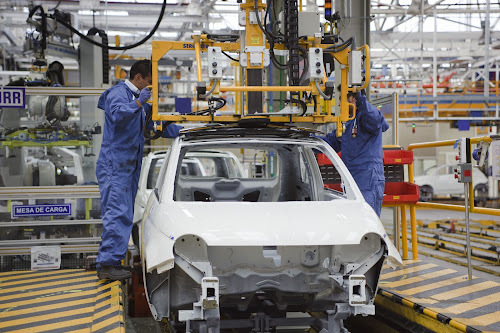 To meet Brazilian market requirements, the Toluca Assembly Plant integrated a new crystal-laser beam Vehicle Identification Number (VIN) marker. 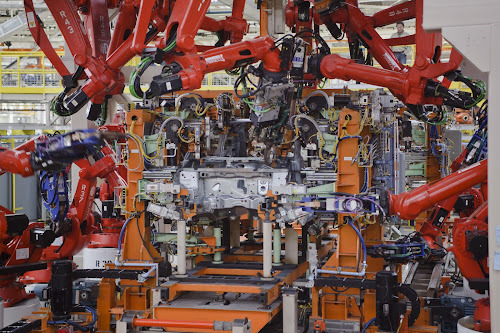 With a renewed focus on quality, Toluca has implemented three different programs to verify the build quality of every new 2012 Fiat 500 that leaves the plant. The first is Presigi, a process adopted from FGA that consists of a 3.2-mile course designed with various road conditions to simulate customer driving conditions and focus on the dynamic quality of the new Fiat 500. Second, technical experts at Toluca Assembly Plant’s Technical Vehicle Verification Center evaluate wheel alignment, headlamp alignment and appearance. And lastly, a state-of-the-art Metrology Center focuses on dimensional measurements to assure the highest quality fit and finishes. I have to tell you this Fiat experience is so different from when I tried to buy a Mini several years ago, They had a real attitude problem. And now I have gotten an email from the dealer in Fremont and am looking forward to a test dirve soon! Motor Trend has just sent me the first issue of a new subscription and there is a Rosso Cinquecento (they were kind to the car, "delightful" they said) I like delightful. Thanks Fiat for the Photos. I'm having visions of dancing Stradas being Handbuilt by Robots. Two things -- is FIAT considering offering the flex fuel option for U.S. models, which would be excellent, and also, has anyone seen a vehicle sticker indicating the percentages of U.S. and foreign parts in the 500? The engine is from Detroit, but are any other 500 parts U.S.-made, or Italian? Very curious about this aspect. Hope the 2nd build in this plant will be the Punto (heard rumors it will be re-branded) They should be able to sell about 5X as many of the Punto. It is more practical for the North American market.